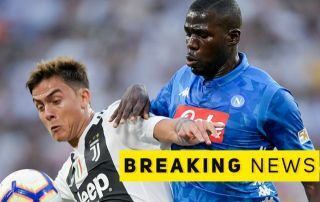 The 25-year-old has long been linked with Man Utd and they’ll feel this news, along with another recent report that Juventus were now prepared to change their mind and sell him for £105million, is a huge boost to their chances. Real Madrid are also linked with Dybala, but United could also be a great fit for the former Palermo star as they need an upgrade on the struggling Alexis Sanchez. Whether it’s to Old Trafford or the Bernabeu, it does now look like Dybala is closing in on a move away from Juventus as things just don’t look right with him and the Serie A club.